Welcome to modern air plants! I’m Anna Weston, the creator of Modern Air Plants. If you want to take better care of your air plants, but aren’t sure where to start, this page is for you. 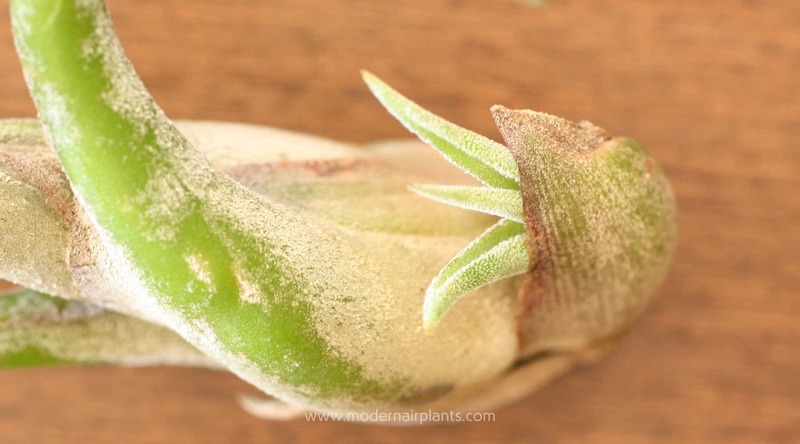 What is modern air plants? 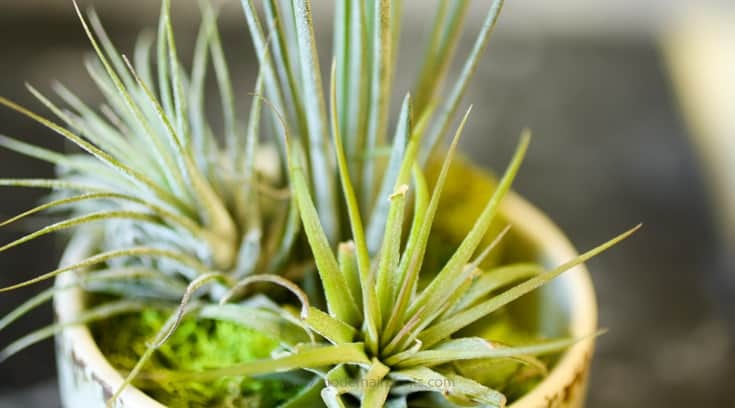 In my experience what most air plant enthusiasts want to know about–and what I focus on–is how to provide the best care possible so that you can enjoy our air plants for years to come. In addition, because these most versatile of all plants aren’t tied to pot, I also provide creative ways to show off your air plants. A cure-all. We will NOT cry over dead air plants. Growing and nurturing air plants is a great experiment. Together we will learn along the way and become better air plant care-givers as we learn and our air plants grow. Learning how to grow air plants does NOT happen overnight. As we embrace this air plant journey, here at Modern Air Plants, we recognize that we are subject to mother-nature’s timetable and that often the best learning happens through experience. Successfully growing air plants is NOT impossible. I live in an arid climate. I figure that if I can grow air plants that thrive, anyone can. By focusing on proper care, I am confident your air plants will flourish! Do Air Plants Need Light? Yes! I cannot overemphasize how important it is to begin with healthy air plants. For healthy air plants, I recommend not starting with the sale rack. Go for best-odds. Buy air plants in prime condition. For me, that means buying online. The ones I’ve seen at big-box stores and even at local nurseries are severely dehydrated. Buy only from reputable sources. If you can purchase from a local seller that specializes in air plants, then do so. Otherwise, I recommend purchasing air plants online from a trustworthy source that knows air plant care. When I first started growing and buying air plants, I began with Auramore. The air plants are healthy and beautiful. They arrive in tip-top shape due to their superior packaging. Yes, the air plant do arrive in a pretty box, but even more than that, the box is sturdy. No crushed air plants here. The box is filled with a variety of air plants, a bottle of fertilizer, specially designed for air plants, and crinkle paper to further protect the air plants. In addition to the box set of air plants, Auramore also sells terrariums, polished rocks and crystals. The terrariums are tastefully made and the rocks and crystals are perfect partners for displaying air plants. 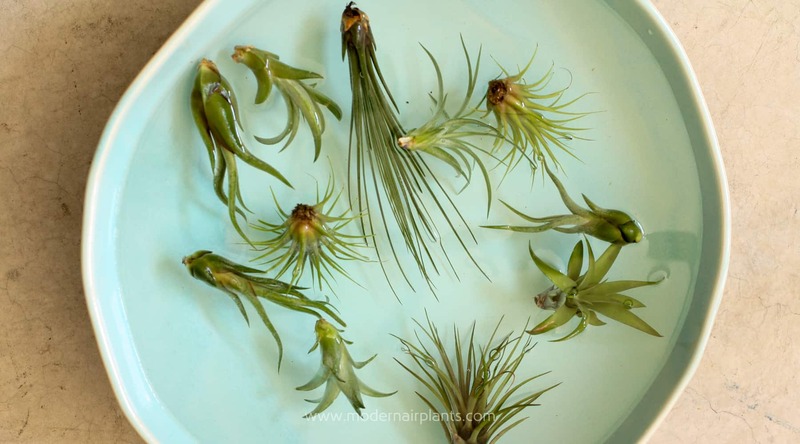 I highly recommend Auramore as your source for healthy air plants. Learning how to properly care for air plants was essential for me to get the most out of my air plants. I’ve invested lots of money in building up my air plant collection and I want them to last. I want the same for you–for your air plants to thrive, so that you can continue to enjoy them for years to come. You wouldn’t believe all the misinformation I’ve heard about how to care for air plants. This is sad because, really air plants are quite easy to care for. When caring for air plants you and your air plants deserve to begin with correct information on how to care for these remarkable plants. 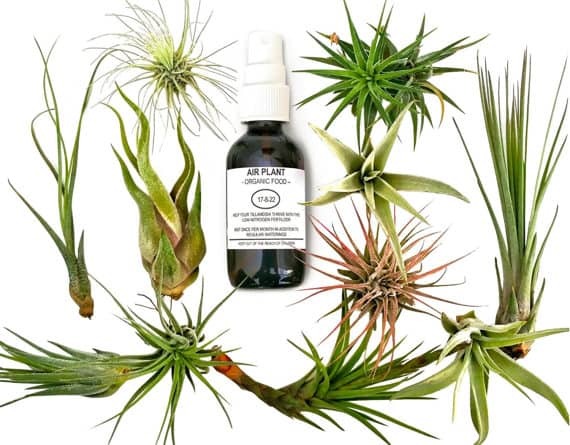 That’s why I’ve written Air Plant Essential Care Guide to help you successfully grow air plants. This guide is information you can trust and is available as a PDF instant download, so you’ll have immediate access. 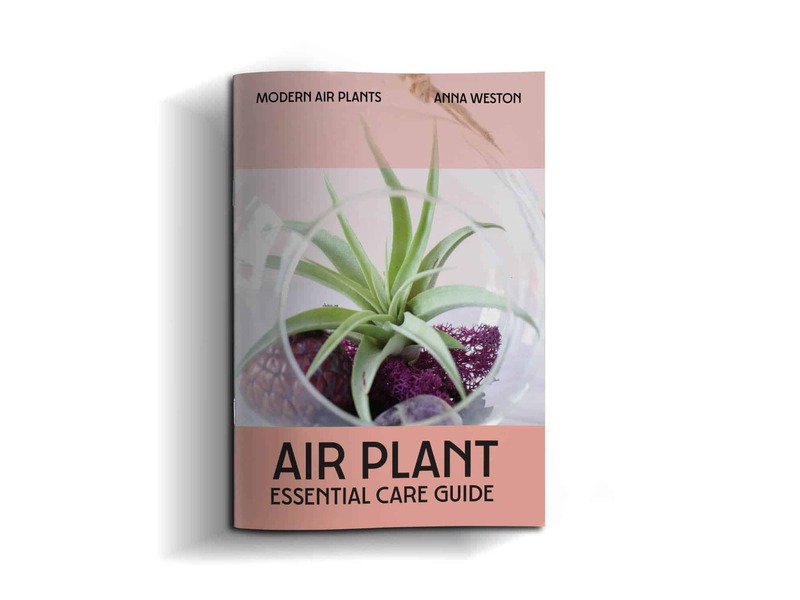 To help you along your journey caring for air plants, I’d love to share with you hints and tips for caring for air plants as well as creative ways to design air plant arrangements. Email is how I reach out to my readers. I can’t wait to connect with you. I’m here for you every step of your air plant care journey. I want to hear from you! I’d love for you to share with me your biggest struggles in caring for air plants, as well as your successes. One favorite things about this blog is hearing from you. I especially like it when you send me pictures of your air plant designs. You’re so innovative! Reach out to me any time. You are always welcome to comment on a post or to email me at [email protected] modernairplants.com. Let’s get started caring for air plants!